Due to the general lack of enthusiasm for a formal presentation evening, the committee has decided that two presentation evenings will take place this year. Russ will be awarding the Cross Country trophies on the 21st March at the Embankment track after training where teas & coffees will be available. We hope many will stay to congratulate the winners. Russ will be contacting the recipients in due course. Can all current trophy holders please return their trophies to Russ as soon as possible. The Track & Field and Road awards will be presented at a similar event on the April 11th. 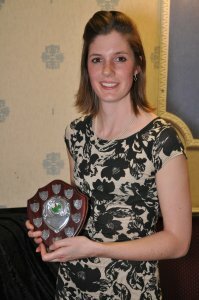 The Track & Field and Road awards will be presented at a similar event on the 11th April. The committee are working towards a potential annual presentation together with an athletics event to be held on a weekend at the end of September. If you have any ideas please let your committee know.